Because life is easy. Said no one ever. My 2018, was filled with many highs. On average I travelled to a different city each month; curating City Guides for a number of online outlets. I filmed segments for my book in DC, NYC and Sydney, Australia. I was excited to publish my first piece for Cosmo UK on meeting parents for the first time in a multi-ethnic relationship. To cap off the year, I was offered a deal to re-release my book with a traditional publisher. To be honest, I’ve done more things this year than some people do in their entire life. 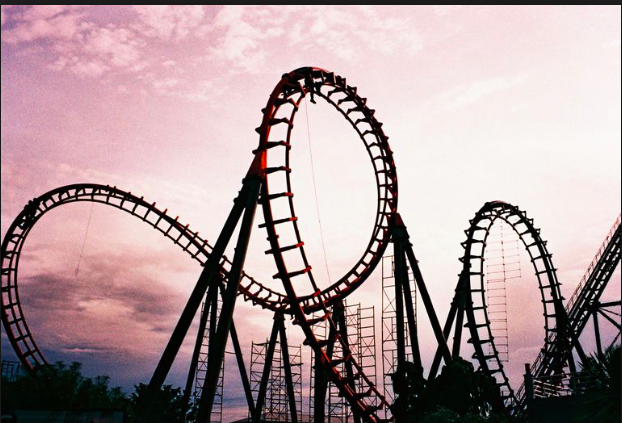 Professionally, when things get too much for me, I ask myself, “Do I want to get off this rollercoaster?” If the answer is yes, then I take solace that I did everything I could to line up things in my favour. Easy. Yet, the personal rollercoaster of life is quite different. There is less control; feelings are involved. People can ride alone; some change it up and invite different people along at times. There are people that start out with one partner but then something happens and they switch it up. Some have a consistent partner for life. Sometimes a first run on the track with a partner is so much fun, we fake ourselves out. “This is such a dream. It’s going so well!” Suddenly you start to get nervous/anxious of the unknown. Perhaps fears/doubts from other aspects of life start to creep in. Wait, this was not part of the plan. You think to yourself, “How can I stop these feelings?” Your heart says yes and your head says no. You do not want to get hurt (for the record, no one does). Rather than trying to talk it out with your partner in the cart, you crowd-source opinions. The opinions you gather mirror and validate your fears – “Yes, this is hard. Yes, this is too good to be true. What next?” You find all the reasons why calling quits is the rational choice. You act out of character in subtle ways by pushing buttons through comments and start to get annoyed at little things. You self-sabotage and pull the emergency brake halfway up the climb. Confusion ensues, as you bolt out of the cart gasping for air. I know this all too well – as I have done this myself. When things are great, I freak out. Why, you ask? I am bold when it comes to my professional success that stems from my own hard work. Why should this be any different? It’s different because legit love is scary. You trust and rely on another person with your heart. And once you are burned, the scars may fade but the feelings remain. You become cautious and cynical. Yet, there is a small sliver of hope you hang on to because on the rare occasion, you will meet someone who is willing to share their strength with you. Drive on the other side of the road when required. They are brave enough to hold your hand. They know your value and their raw certainty can travel time zones and warm you up with joy and happiness. And yes, there should be plans, goals and aspirations with potential destinations. And we need those to help us navigate life. (Please note: All the success that I received in 2018 was not planned, it all manifested month to month). But why do we stop before we even start professionally or personally? Why do we let fear paralyze us into living a subpar life? Why do we listen to the outside noise and pull the emergency brake when we are scared? And why are we sometimes even more scared of success than failure? These are all good questions to think about this New Year. So let’s make a pact. I invite you both professionally and personally to find the magic in the mess on this rollercoaster of life. Let’s loosen the grip on the hard plans and feel all the feels. Let’s collect more memories on our journeys. Most of all, let’s cherish those who are near and dear, who will protect and love us. Wishing you and yours a wonderful, happy and healthy New Year.